I haven’t run since Wednesday night. My right knee has been bothering me some and it is pretty inflamed. I finally emailed my run coach last night and she said the 5K race is probably out for Sunday. I’m a little bummed (because I paid for it, haha) but the main thing is to get my knee ready for the half on Nov 10th!! I know I’ve just got to focus on the BIG PICTURE right now. Yesterday was also my mom’s bday! 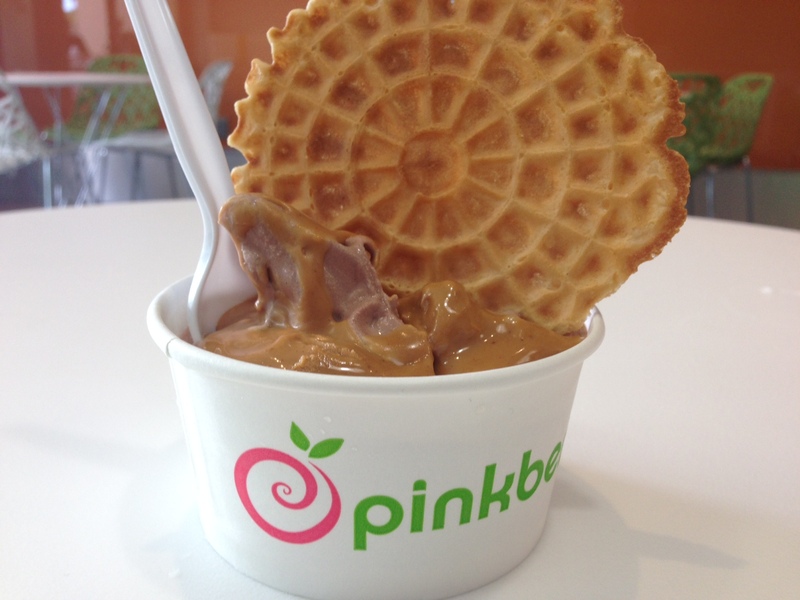 Even though she is 400 miles away, I decided to celebrate on my own and went to Pinkberry for my fave combination: hot chocolate yogurt + peanut butter sauce + waffle. Since I didn’t have a long run to do this morning (taper time!) I actually got to stay up past 9pm last night! It was a very strange experience being up “late” on a Friday night, haha. 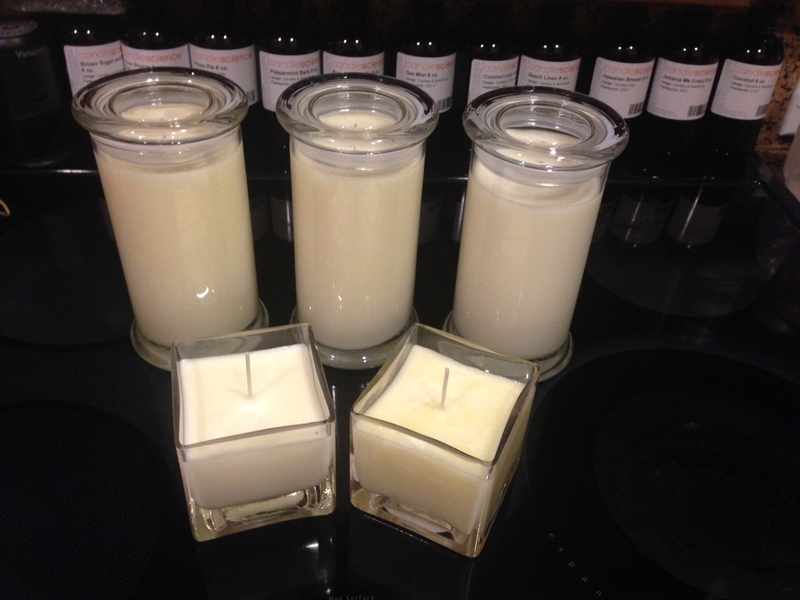 I spent most of the night working on candle orders (see my candle store). This morning I have a photoshoot to get some new pictures done for the website – I am so excited! As a little inside peak, here are what the candles look like when they are in their “naked” state … aka no labels or decorations. I hope it doesn’t take too long to get the picture files from the photographer!! She is a friend of mine so I think I can put a little bit of friendly pressure on her! How many miles did you run today? I want to hear you BRAG! What is your all time favorite candle scent? 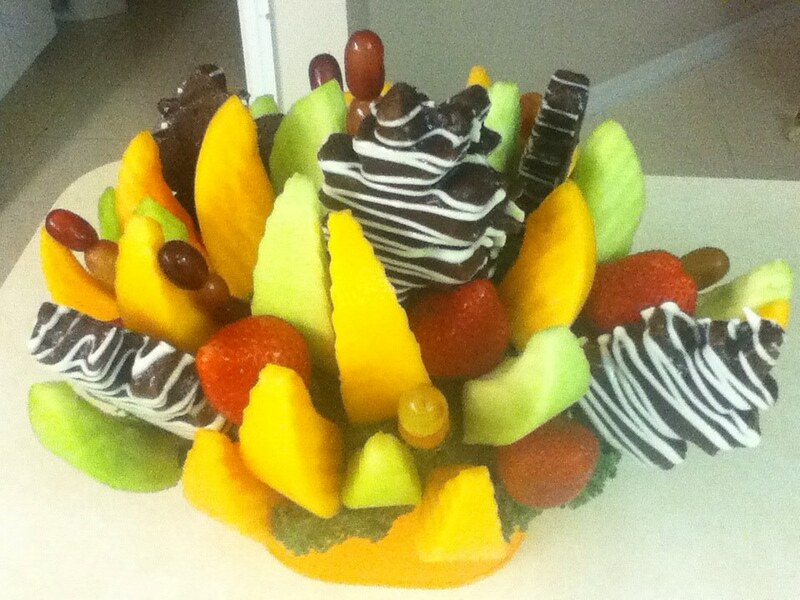 Do you like chocolate covered fruit? 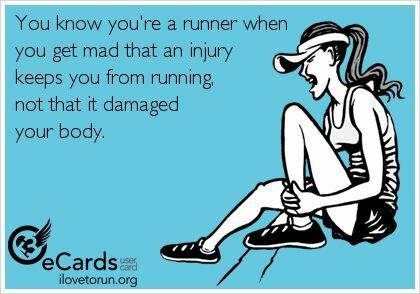 Next Post I Haven’t Run in 4 Days … Ahhh! I do not like chocolate covered fruit. I guess cherries are ok but that’s about it. I only ran 5k. I have been really spotty with my running for the last 10 weeks or so as I just haven’t been able to make the time. I got new shoes though 🙂 that’s motivation at its finest! HI Nicki! New shoes = the best motivation!! 🙂 When I get new shoes I have to take them out for a spin right away, even if it’s only just around the block! Thanks for telling me what kind of candles you like. Citrus candles are some of my faves too. I’m working on a new scent right now that is citrus based and smells WONDERFUL! Can’t wait to share it! I hope your knee feels better! We’ll be running our halves on the same day 🙂 I’ll be thinking of you the entire time I’m sure!